Cape May, New Jersey: America's First Seaside Community! For those lucky enough to visit their favorite bed and breakfast in the first seaside community in America, Cape May, New Jersey; they will discover that there is plenty to see and do in any season. Although incorporated in 1848, the area was actually explored and charted in the 1600s. Today, the beautiful seaside community is full of history and charm and welcomes visitors from near and far. Here are some of BBOnline's favorite picks of where to go while you are in Cape May. 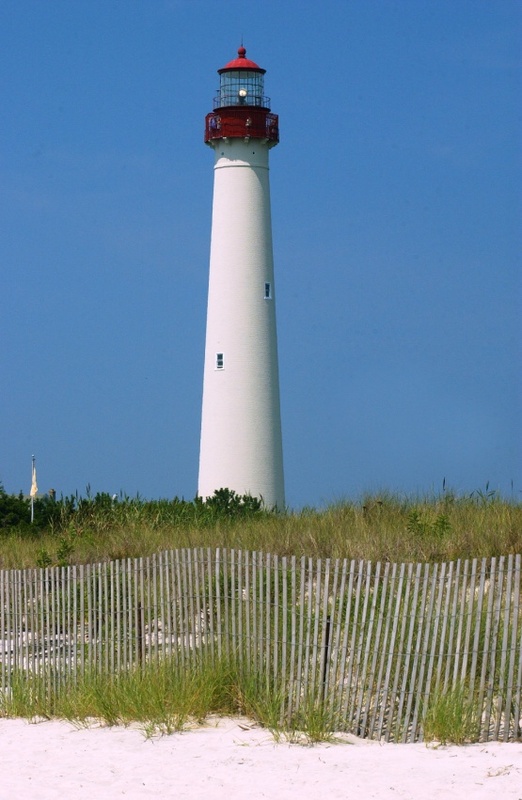 Built in 1859, the Cape May Lighthouse offers visitors a panoramic view of the Atlantic and the Jersey Cape, but the view is not for the weary at heart because to reap the benefit of all that beauty you will have to climb 199 steps! The Museum Shop is the perfect place to buy a souvenir to take home and the Visitor's Center features loads of information about the history of the lighthouse. Cape May Lighthouse and Oil House is open from 11am to 3pm. The admission to the tower is $7 for adults; $3 for children ages 3 through 12; however the Visitor's Center and ground floor of the Lighthouse is free! Would you like to visit Cape May, New Jersey? Tell us about it at Facebook! 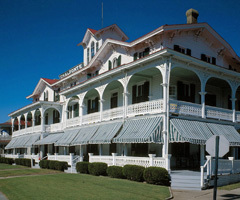 The Chalfonte Hotel was built by Henry Sawyer in 1863. 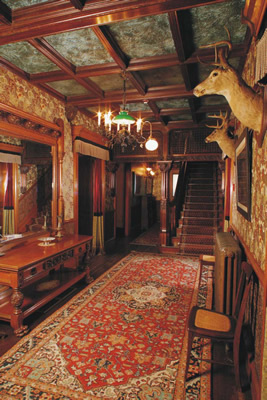 Today, the Chalfonte is a National Landmark that has served visitors for more than a hundred years. During the Spring Festival in Cape May, guests can tour the Carriage House Gallery and observe exhibits from the Civil War including letters and diaries from the battlefield, photos, art, drawings and other memorabilia. While you are visiting the Carriage House Gallery Exhibit you should also tour the Cape May's African American Heritage Exhibit that features a collection of art, letters and photos from the slave era. The Carriage House Gallery Exhibit is free to the public and is open daily from 10am to 6pm. It may not seem the season for ghouls and goblins, but a favorite attraction among visitors is the Ghosts of Cape May Trolley Tour! The spooky sensation includes a 45 minute trolley ride through Cape May. Your guide along the ride will share stories of the paranormal, including a tour of the Emlen Physick Estate which is reportedly haunted! During the Christmas season, the house is decorated in festive attire. The evening ride begins at 8pm. The cost is $10 for adults; $7 for children ages 3 to 12. The World War II Lookout Tower, also known as Fire Control Tower No 23 is the last tower from WWII and has been fully restored. The tower was originally built in 1942, the tower helped protect the east coast of the U.S. during the war from New Jersey to Delaware. 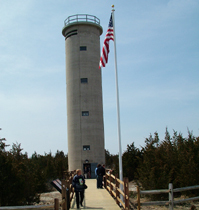 The World War II Lookout Tower hosts a Memorial and Museum. Admission is $5 for adults; $2 children ages 3 to 12 and the first 2 children are free with paid adult admission. Active and retired military $2 with military ID.